It has been two weeks since my migraines decided to furiously reassert themselves into my daily life. A week in January of high stress both at work and at home (which for me are often one and the same) led to 14 days of nearly constant migraine pain. Today, after a night of little sleep and a severe headache that just won’t quit, I decided to go ahead and try some of the supplements recommended for prevention in “The Migraine Brain” by Carolyn Bernstein, M.D. The decision to brave the arctic cold blast currently (and uncharacteristically) besieging Austin was not an easy one. But, my intense desire to do something, anything – even something that probably won’t show results for 5 to 12 weeks – to diminsh the pain motivated me to get dressed and drive to GNC. After a short disussion with the salesman, I left with two bottles of Coenzyme Q-10 soft gelcaps (100 mg each), one bottle of magnesium tablets (250 mg each), and a bottle of be-whole women’s multivitamin and mineral supplement (which contains a number of things, including Vitamin B-2 and more magnesium). 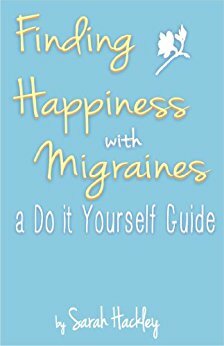 In her book, Dr. Bernstein highlights which supplements can work to reduce migraine pain and frequency. Among them were magnesium and Coenzyme Q-10. Recommended doses were 400 mg of magnesium once per day and 100 mg of Coenzyme Q-10 three times per day. Back in 2007, Dr. H (my neurologist) suggested that I try a magneisum supplement in addition to my other preventatives. It didn’t seem to work, but I think now that I may not have tried it for long enough. Since my migraines have definitely returned and I am unable to get back in to see Dr. H until the end of February, I think I’ll give these supplements a try. After all, I certainly don’t have anything to lose.